The 2019 VW Jetta provides drivers in West Valley, Murray City, and Orem with a thrilling ride thanks to the turbo engine standard under its hood and a safe, confident ride with a host of available assistive technologies. But that isn’t all the aspects of what makes the VW Jetta an impressive and practical vehicle to drive. It is also exceptionally efficient. 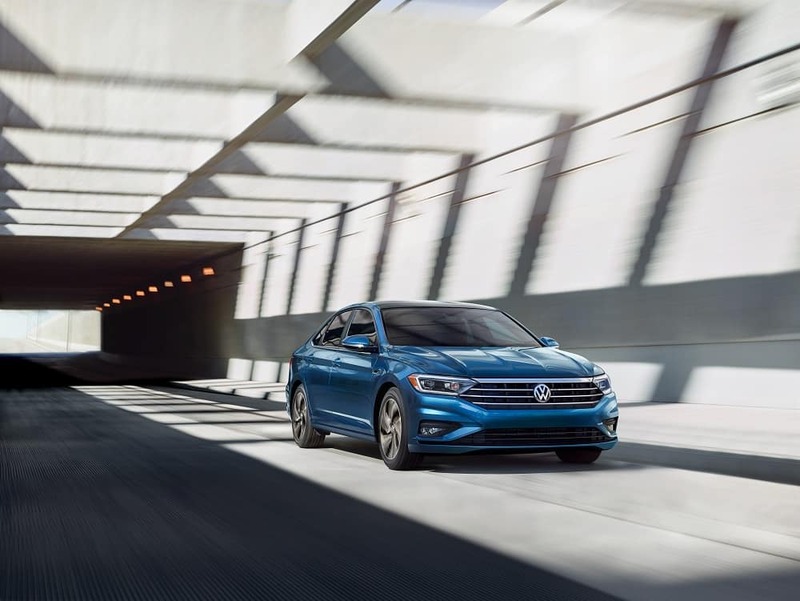 At Volkswagen SouthTowne, we want to highlight the 2019 Volkswagen Jetta miles per gallon and what makes this car extremely eco-friendly without sacrificing on its dynamic performance. The fuel economy of the 2019 VW Jetta is excellent and will get you up to 40 highway/30 city MPG*. And with that efficiency also comes a fuel tank that can hold 13.2 gallons of gas. This combination of efficient use of gas and the ability to hold a large amount of fuel will let you cruise along for miles at a time before needing to make a stop to refuel. Along with the 2019 Volkswagen Jetta miles per gallon being great, the sedan also is a fun-driving, smooth, and exhilarating car to commute around in. Standard in the VW Jetta is a 1.4L turbocharged engine that produces 147 horsepower and 184 lb-ft of torque. This comes with a six-speed manual transmission, but it also has an available eight-speed automatic transmission with Tiptronic® and Sport mode you can opt for. You can also have more control over how your car performs and drives with the available Driving Mode selector. Switch among the modes depending on your current driving—from Normal, Sport, and Custom, to the fuel-efficient Eco mode. The engine also has the available Start-Stop System that will allow the car to shut off the engine while you are stopped somewhere, like at a traffic light, saving you even more on fuel. Then, your VW Jetta will automatically start back up again once you resume moving. The sleek, sporty design of the VW Jetta isn’t just for looks. Part of what helps the VW Jetta gain top-rated fuel economy is its appealing exterior design. Its low, forward-sloping stance helps this car smoothly and quietly cut through air and minimize drag. This car was thoughtfully crafted to give the right balance of a tasteful look with practical driving. Impressed with the 2019 Volkswagen Jetta miles per gallon? Then it is time to find out even more about this 2019 VW Jetta! It’s got all the features and technology you need, and is equipped with the capabilities for easy commutes around West Valley, Murray City, and Orem. So, stop by Volkswagen SouthTowne and chat with one of our friendly sales representatives who can show you the ins and outs of the VW Jetta. Our team is ready to help you find the 2019 VW Jetta that matches what you’re looking for. 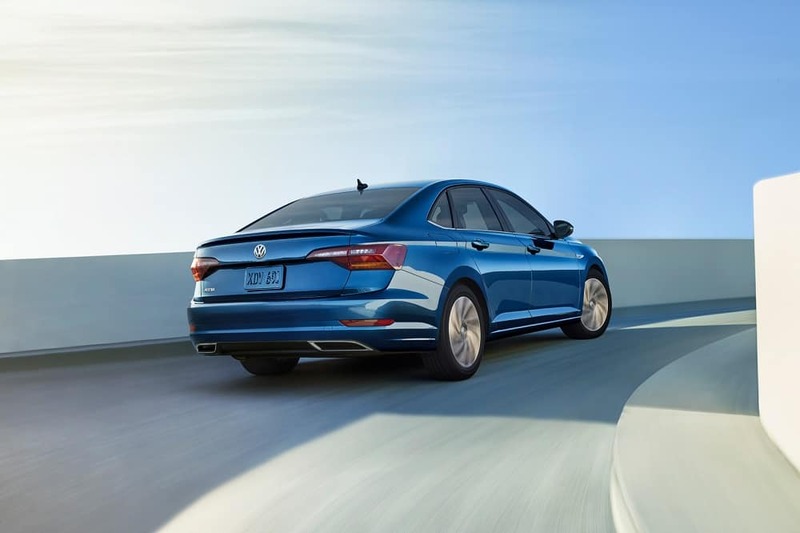 You can even schedule a test drive of the 2019 VW Jetta while you are here!